Find out how Monster Hunter World is shaping up to be the series most accessible entry yet. 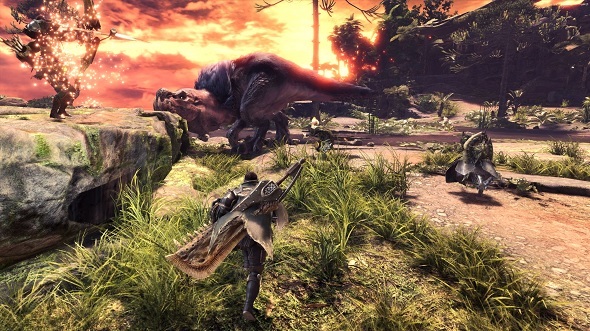 Tsujimoto also says that adding the ability to buy better gear and weapons would actually interrupt the Monster Hunter: World’s core gameplay loop. Later in the interview, he says, “Even when you get to a certain wall and you’re like ‘OK, I’m ten hours in, I suddenly have a monster I can’t beat’, it’s not about ‘well I’ll just throw a bit of money in and I’ll get better gear to do it’. What we want you to do is go back to your house and be like ‘well, I’ve been using the great sword, maybe I need to use the dual blades for this monster. Original story, November 2 2017:Monster Hunter: World is taking plenty of cues from Western games to end the curse of the series’ mostly Japan-only success. One design trait it’s not looking to emulate, however, is the concept of loot boxes. At a recent preview event, the developers had some particularly emphatic words about how these types of microtransactions wouldn’t fit the game. Capcom’s games have hardly been immune to criticism over extra monetization – just look at the response to the DLC for Street Fighter V and Marvel vs. Capcom: Infinite – but it’s cool to see director and producer alike here specifically clarifying they’ve no intention of changing the core of their game. PC players will have quite a bit of time before they can dig into MHW, though. Not only is the computer release trailing behind the console versions, it seems the beta is to be a PlayStation exclusive.